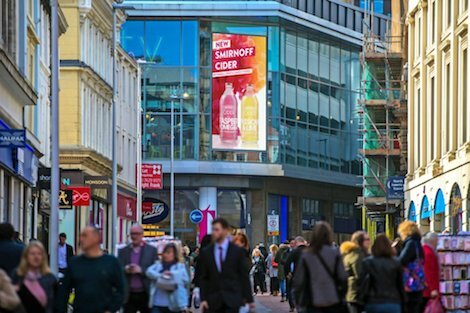 Devised by Posterscope and media agency Carat, the campaign seeks to capture the attention of people at the right time for enjoying a drink outside and drive trial of Smirnoff’s vodka-based fruit cider range. Featuring two Smirnoff Cider flavour variations, the campaign switches from a standard creative execution to a ‘hot execution’ as weather temperatures reach the requisite level. 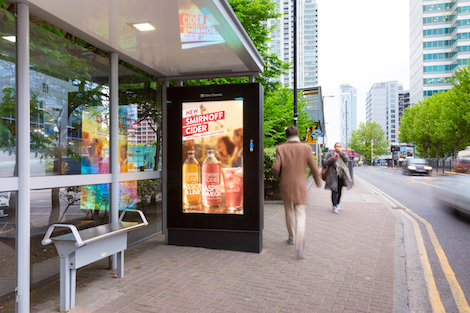 The campaign runs across Clear Channel’s Adshel Live network nationally and JCDecaux’s LDN network. 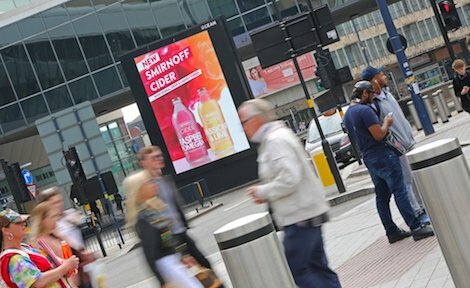 The campaign also included an upweight of large format digital sites through Ocean Outdoor and Outdoor Plus around the last August bank holiday, as well as Tesco POS digital smart screens across the duration. This entry was posted on Tuesday, August 29th, 2017 at 17:45 @781 and is filed under DailyDOOH Update. You can follow any responses to this entry through the RSS 2.0 feed. You can leave a response, or trackback from your own site.